That is one of the cutest ones so far! I love your site. It helps me tremendously and I recommend it to all my friends! Thanks. Already a facebook fan. So cute I’d love to win this! I totally love your fb page and i would love a chance to win!! I like Totally Target on facebook. Thank you so much!!! Pick me!! I’m a Facebook Fan! I would love to win! I love TARGET! I LOVE LOVE LOVE Target!!!! Who wouldn’t love to win this one! I know we would at our house! Thanks for the opportunity to win the gift card!! Love the site. Hope I win! Thank you for such a wonderful money saving website. YOU ROCK! 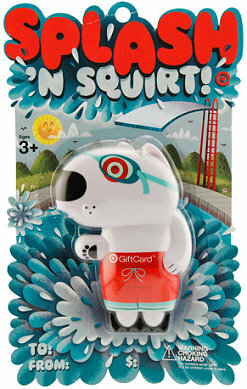 I love Target and would love to win a gifcard! I “like” Totally Target on Facebook 🙂 Thank you for this giveaway!